Exclusively until June 7, 2019! Enjoy a 20% discount by purchasing the Open Cellar Days pass online until June 7, 2019! 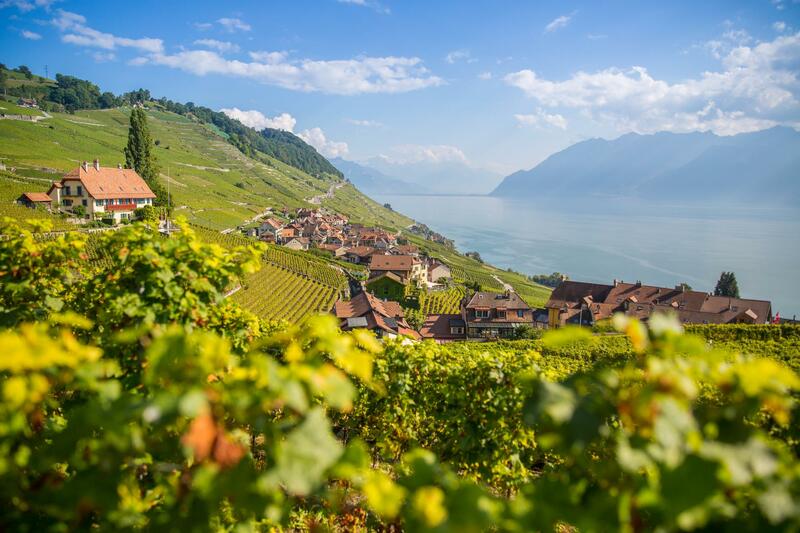 The Vaud Open Cellar Days is certainly THE event you mustn’t miss in the canton of Vaud! It’s easy to spot your fellow wine lovers thanks to your Open Cellar pass and their tasting glass and their contagiously good mood. Just follow them and get to the core of the event! More than 300 vintners are opening the doors to their cellars during the Pentecost weekend. (Re)discover the experiences you will enjoy during your first Vaud Open Cellar Days. A moment of relaxation, where friendliness and discoveries are top of the list throughout the canton! * By booking your Vaud Open Cellar Days pass online until June 7, 2019, you will enjoy a discount of 20%, i.e. CHF 24 instead of CHF 30. Voucher of CHF 50 when you purchase 6 bottles in a cellar of your choice! Take advantage of the Railaway offer! Are you visiting from somewhere outside the canton of Vaud? Choose the Railaway offer, which is the most attractive one for you! After receiving your glass from one of the many collection points or a participating vintner, use public transport or the free-of-charge shuttles to get from one cellar to another within all Vaudois winegrowing regions. Choose your destination and discover the entertainment on offer. In cooperation with Vaud Terroirs, several vintners offer tastings of local products: Gruyère PDO, saucisson Vaudois PGI, apple juice, L’Etivaz PDO, flûtes and various types of bread. Departing every 45 minutes from Yverdon-les-Bains, in front of the Tourist Office. Last return journey at 5.30 pm for the shuttles in all the villages. New tour of the region’s vineyards. Armed with your smartphone, follow our itineraries marked out with questions, quizzes and fascinating anecdotes that are both informative and entertaining. Discover various musical entertainment or tasting activities organised by the winegrowers. Departing every hour from Yverdon-les-Bains, in front of the Tourist Office. Throughout the day, shuttles from the stations of Villeneuve, Aigle, Ollon and Bex take you to the cellars. Wine tour: downloading the itinerary on the “Vaud Guide” application turns the wine path into so much more than a tour. Twenty or so points of interest are presented along the whole trail, revealing the world of wine production in the Chablais region. Shuttles between the different cellars from the railway station, the jetty and the TL terminus (bus 9) in Lutry. Departing every 30-45 minutes. Shuttles between the villages from the railway stations of Cully and Grandveaux and the TL terminus (bus 9) in Lutry. Shuttles between the villages from the railway stations of Cully, Chexbres and Rivaz. Departing every 45 minutes. Shuttles between the villages from the railway stations of Chexbres, Chardonne funicular railway and Vevey funicular railway. Sample the culinary specialities served in some cellars and in the restaurants. Departing from Nyon railway station with the regular bus services to the cellars farthest away. Three bus routes to discover the wines of Morges. Departing every 15 minutes from Morges railway station. 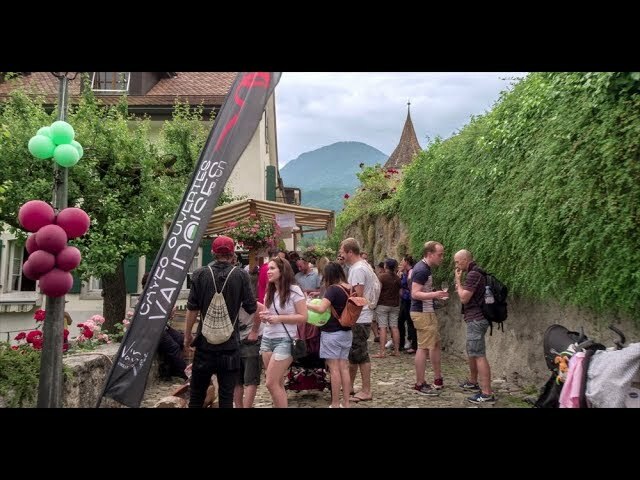 Morges Region Tourist Information Centre and the “Bam la Voie des Sens” association will welcome you in front of Morges railway station and guide you to the shuttle buses and the various tasting or musical entertainment activities offered by the winegrowers. Find most of the winegrowers of the Nyon appellation in the enchanting setting of Château de Nyon. Catering and musical entertainment, and, on Saturday evening, the winegrowers’ ball. Admission to the Châteaux of Nyon, Prangins and Coppet and all the museums in Nyon will be free of charge to holders of the “Open Cellars passport” on Saturday 8th and Sunday 9th June 2019. Canteen offering food and beverages at the departure point of the shuttle buses to the cellars of Mont-sur-Rolle, in front of the Mont-sur-Rolle cellar. More than 300 Vaudois vintners are opening their doors to the public. Who are they? Is your favourite vintner participating in this event?